(Best) Window Installers Huntington Beach | Inner City Skyline Inc.
Finding and securing a great deal for residential window installation and retrofit window replacements for homes in Huntington Beach is easy and fast with our free in-home estimates. We provide free estimates for homeowners that are looking for premium quality Milgard, plygem, Andersen and Jeld-Wen Windows for their homes. Our free estimates guarantee you get our accurate prices on premium quality residential windows at the best price. The process of installing new windows for homeowners is the same as its always been. Premium quality materials have been upgraded to last longer, and become easier to install. Installing new windows for newly constructed building are easier than ever before. Schedule a free estimate to get our new construction window installation deal today. Most homeowners already have windows installed but would love to replace if the price is right, and the contractor is the right pro for them. Inner City Skyline and our team specialize in installing retrofit windows for residential homeowners. If you have old aluminum window for your home, or apartment, schedule your free estimate and let us upgrade your home to dual pane energy efficient windows. Save up to 25% more on energy reduction with new energy efficient windows today. Are you Interested In Window Replacement, Or Repairs? Did you know that new energy efficient sound proof windows can help keep your home quiet, and more comfortable? Schedule a free estimate to learn more about our brand named window installations. Replacing Or Repairs Existing Windows? Is your window cracked, broken, or just in need of a good handyman to repair or replace? We provide free in-home estimate to determine if we can repair your windows or replace it entirely. Bay windows are usually a combination of 3 windows that extend outward to maximize your view angles. They are great for homes with beautiful views facing outward towards the street. Casement windows are hinged windows that open outward. They are not typical in southern California since most windows are designed to slide open and close. Only type of window really supported in a high rise buildings in downtown Orange County or Los Angeles County. 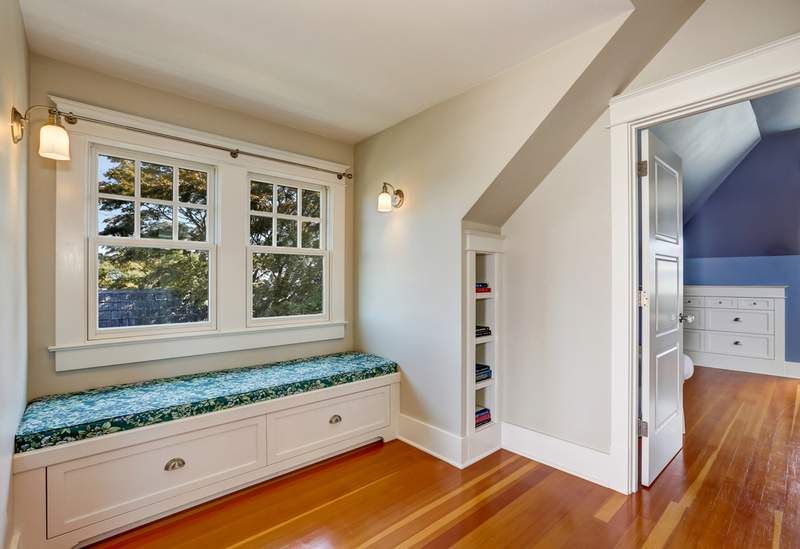 Single hung windows have a fixed top and bottom sash that allows the window to slide up. Sliding windows have one fixed sash while allowing the slider to slide left and right. Its common in most residential single and two story homes in southern California. Many premium brands offer specialty shaped windows for installation in residential properties. Specialty windows can come in almost any shape and size. They often do not open, and are fixed. In Southern California, Inner City Skyline provides only the highest quality energy efficient windows for homeowners. Schedule your free estimate to get started today.